Jimmy Barnes has been there and back. He’s tasted glory as the most successful Australian rock & roll singer. He’s also struggled with the pressures of being a tall poppy and he’s wrestled his own demons. It’s been a wild ride. As lead singer for Cold Chisel, he fronted Australia’s most successful rock band. 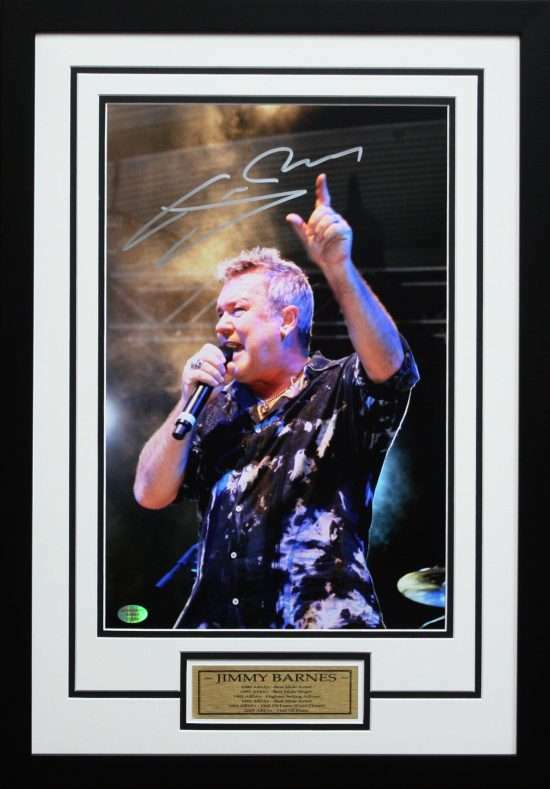 This Photo has been hand signed by Jimmy Barnes and is available for immediate delivery. Personally signed by Jimmy Barnes.